Medial Collateral Ligament (MCL) Injury: The MCL is a major stabilizer, especially during the overhead throwing motion. MCL injuries occur most commonly in throwing athletes. Most non-throwing athletes, recreational athletes, and even professional quarterbacks who tear the MCL do not require surgical treatment. In baseball players, javelin throwers and some manual laborers, the MCL may need to be repaired in order to return to previous levels of athletics or activities. If the MCL tears with an acute ‘pop’, an MRI with dye injected into the elbow (an MR Arthrogram) will usually be ordered to confirm the diagnosis. 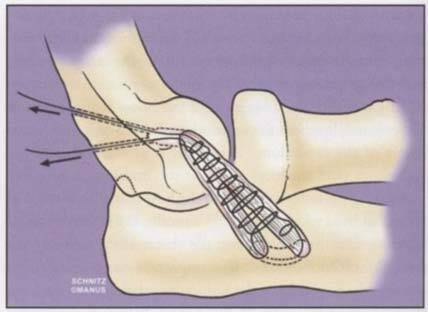 If the MCL is torn in a high-level thrower, it should usually be treated surgically. In the absence of a pop, at least 3 months of non-operative treatment, including strengthening the muscles about the elbow, should be tried to see if surgery can be avoided. These days, there seems to be a rash of medial collateral ligament injuries in teenage pitchers. The problem is this: the really good pitchers are usually bigger, taller, heavier and can throw harder than the average pitchers. Every coach wants them to pitch for them. In Texas, the weather allows baseball essentially all year long. Some leagues pay strict attention to pitch counts. Others don’t. Good teenage pitchers can play in multiple leagues at once. They’re pitching way too much. And their elbows can’t handle it. When throwing hard, these stronger players can repetitively apply more force across their elbow than their elbows can withstand. Many teenage pitchers who would otherwise be able to play in college, or even the pros, burn-out their elbows and destroy their careers before they even graduate high school. Many times, the best pitchers have careers that are over before they’ve even begun. And it’s often due to a MCL injury. Other issues, such as Osteochondritis Dissecans (bone death on the outside of the elbow) and Posterior Impingement (the point of the elbow gets bone spurs on it so that it doesn’t allow full extension) can also occur. But MCL injuries are the most notorious severe elbow injury. 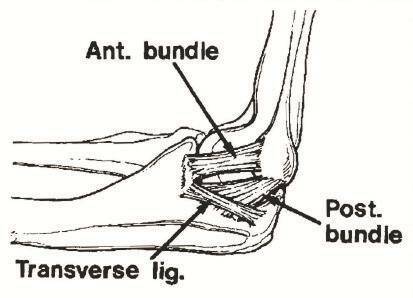 MCL reconstruction (aka. the “Tommy John Procedure”) is pretty effective in adults. But it’s somewhat less effective in teenagers. 20% of teenage pitchers that injure their MCL will never get back to pitching at a high level, even following a well-performed MCL reconstruction. There is no question that practicing prevention here is much better than needing treatment. My message to parents is to protect your teenage pitchers. Don’t allow them to play in multiple leagues at the same time. If you do, familiarize yourself with recommended pitch counts and follow them strictly. It’s often difficult, as teenagers often think that they’re invincible, and want to keep on throwing. Many coaches are asking these teenagers to pitch for their teams. And what teenager doesn’t want that kind of attention? The problem is that teenagers are notoriously lacking in perspective, and don’t realize that the future does not end tomorrow. Getting necessary rest and not throwing too many pitches are important to preserve their elbows so that they can continue to pitch in college, and possibly beyond. ASMI pitch count recommendations can be found at http://www.qcbaseball.com/philosophy/pitch_count2.aspx . If elbow pain does occur, see a specialist, i.e. 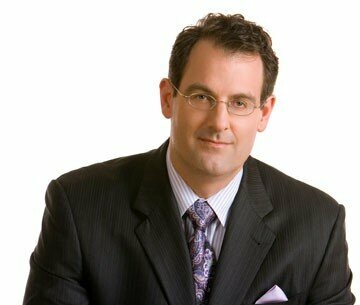 an Orthopedic Upper Extremity, Elbow or Sports Medicine trained surgeon. If he tells your teenager to rest his/her arm, then make sure they do it. It’s a lot easier to prevent problems in teenagers than to pick up the pieces once the elbow is badly injured. Remember: skeletally immature (i.e. not yet in college) athletes are more vulnerable to overuse injuries than are adult athletes. A little patience and rest in the short run can prevent the end of a promising career in the long run. If surgery is required, MCL Reconstruction, also known as the “Tommy John” procedure, involves taking an extra, spare tendon from the forearm, or a hamstring tendon from a cadaver, and using it to recreate the MCL. I published a research project in 2008 showing that the tendon used doesn’t make much difference.1 The strongest MCL Reconstruction currently available is called the ‘Docking Technique’, which is my preferred technique. Whatever technique is used, MCL Reconstruction takes at least one year, and usually a year and a half, to fully recover from, and the rehabilitation after surgery is very important. The success rate of MCL Reconstruction is roughly 90% in adults, but only 80% in teenagers. MCL Reconstruction is an outpatient procedure. After surgery, a splint is worn for less than one week and then early motion is started to minimize stiffness. Rehabilitation is an important part of the overall treatment to regain strength, motion and endurance. Most people do very well following MCL Reconstruction and return to playing sports and to their other activities. 1) Biomechanical Analysis of Medial Collateral Ligament Reconstruction Grafts, Prud’homme J, Budoff, JE, Nguyen L, Hipp JA.,American Journal of Sports Medicine 36: 728-32. 2008. 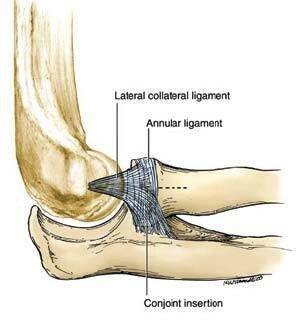 Lateral Collateral Ligament Complex (LCL) injuries: LCL injuries (also known as Lateral Ulnar Collateral Ligament (LUCL) injuries), are more common than are Medial Collateral Ligament injuries. LCL injuries often occur from elbow dislocations or in association with elbow fractures. LCL injuries lead to PosteroLateral Rotatory Instability (PLRI) of the elbow, where the forearm rotates off of the humerus. This elbow subluxation can also lead to recurrent elbow dislocations. LCL injuries often cause pain, feelings of instability or catching when pushing off or pushing up from an object, such as getting up off of the floor, doing push-ups, etc. LCL injuries usually require surgery to repair the LCL or reconstruct it with a tendon from the forearm or a hamstring tendon from a cadaver. LCL injuries are often associated with radial head and coronoid fractures, all of which have to be repaired in order to optimize elbow function. Following LCL Repair or Reconstruction, a special post-operative therapy protocol is required. This is best performed by experienced therapists. Be forewarned: I am very picky about which therapist patients use following LCL surgery: simply put, not all therapists have the knowledge and experience necessary to optimally rehabilitate these injuries while avoiding stressing the repaired or reconstructed LCL. 2) Goren D, Budoff JE, Hipp JA. Isometric Placement of Lateral Ulnar Collateral Ligament Tendon Reconstructions – A Biomechanical Study. American Journal of Sports Medicine. Accepted for publication 5/28/09.